Ever since four Diploma in Digital Media Design (DDMD) students created the animated opening for Channel 8 drama A Tale of the Two Cities, other students have been looking for similar opportunities. So it was great news when Mediacorp approached SIDM again to produce the ‘Bountiful Blessings’ drama trailer and opening. It is easy to see why. Most students may be spending their long break taking, well.. a break. 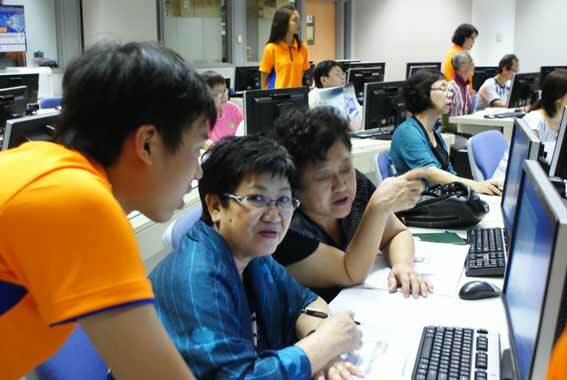 However, for 110 students, they devoted 17-19 September taking care of 800 senior citizens who were in NYP for various Information Technology (IT) classes. 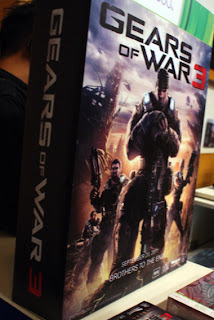 Those who enjoy the stellar graphics and gripping action on xBox 360 game Gears of War got lucky when Gears of War game designer Jim Brown dropped by NYP on the 26 August to give a talk. 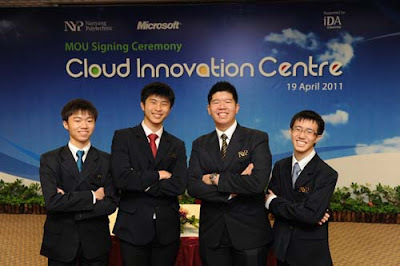 NYP students have been an active part of the Microsoft Student Partner (MSP) Program since 2007. The MSP Program was rolled out globally in 2006. It is aimed at offering students with a passion for technology the opportunity to interact with the Microsoft academic community, access the very latest Microsoft software, reference materials and training, and privileged information about future career opportunities, including student internships and research programmes. 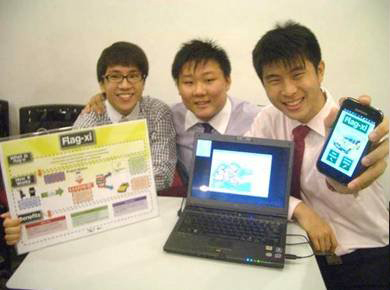 SIT student teams rejoiced when they won the Code::XtremeApps:: Competition 2011, securing the first prize in the Open Category and National Infocomm Category. 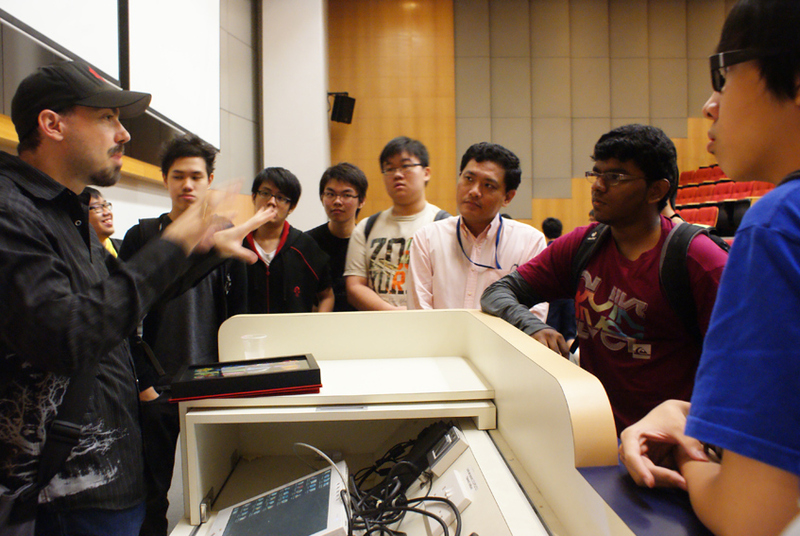 This annual competition is organised by the IT Standards Committee held in conjunction with the National Infocomm Competition. One rainy morning, a forlorn student was found at the Occupational Therapy Garden visiting her asparagus plant. 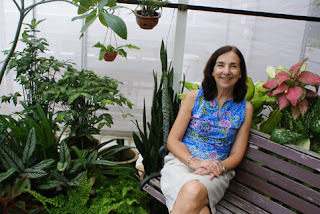 After meeting SHS (AH) lecturer Jo Hobman at the garden, the student left much happier. 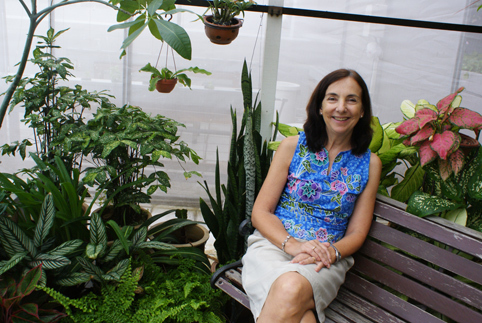 According to Jo, students tend to visit their plants “just before their exams” as it helps them to relax. The garden was set up to teach Diploma in Occupational Therapy students the positive therapeutic effects derived from growing plants, for example the rich sensory experience provided by plant texture or the smell and colour of the flowers. Gardening also provides purposeful occupation with benefits, for both physical and mental health, and enhancement of quality of life.